Life is uncertain, as you don’t know when any emergency will pop up.Keeping the emergency dentist contacts ready can never cause any harm, but we tend to delay unless something serious happens. Some of us have phobias against dentists. So obviously they keep this at the end of the list. And that is when it becomes too late. But they need to realize that paying a visit to your dentist is more important than anything else. A loss of the tooth cannot be compared to anything else. So when you have any emergency, call 911 or just simply ring the emergency dentists. You cannot rely on the pain killers and put yourself in danger. 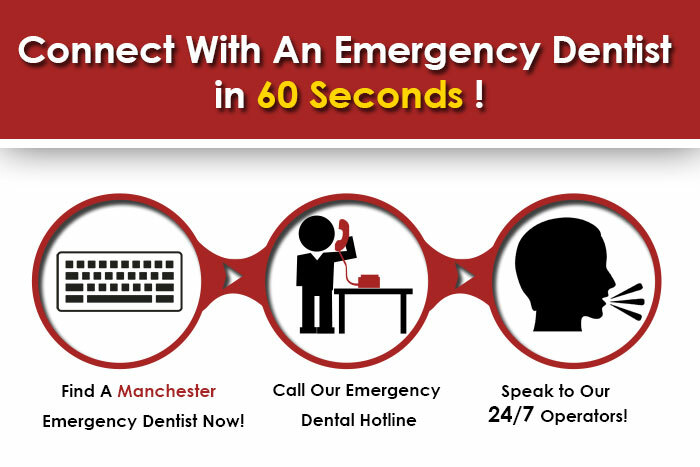 Emergency dentists of Manchester, NH are there for you no matter how odd the hour maybe. Manchester is one of the richest regarding history and the largest city of New Hampshire state. In 2013 the estimated population of this city was 110,378. Manchester is affordable and has more livability than other cities in the USA. That is why it is listed as a favorite city. As it is the largest city, the growth of its finance and construction is rapid. With the rapid growth, the security of your health care decreases in the same flow. You can prevent that and the city can prevent that. All you need to do is keep the record of the emergency dentist number. It is better to be safe than sorry. Easily find New Hampshire emergency dentists with our service. Amoskeag Urgent Dental Care offers dental care with advanced technologies. They do not charge extra for emergency patients. The emergency cases are treated with importance. Their top-most priority is the comfort of their patients, and so, this center is run by two dentists. Amoskeag Urgent Dental Care has a rating of four out of five. Do not hesitate to call at 603-627-2227 if you have any emergencies. Manchester Advanced Dental is one of the very few dental centers in the state to provide all services under one roof, eliminating the need for you to bounce around from office to office. We have everything you need, including: Urgent dental care, Sedation dentistry, Dental implant placement and restoration, Wisdom teeth extractions, Family dentistry And so much more! Our online reviews speak for themselves. Look no further for the best Emergency Dental Service in Manchester, NH! New Hampshire Family Dentistry in 2626 Brown Avenue, Manchester is well aware of the fact that emergencies can arise at any time. They offer a variety of emergency services unlike any other dental care service. If any emergency occurs during the non-working hours, you can always leave a message and follow the instructions given by the dentists on the website. There is always an attending dentist, and he/she will call you back. So call them at (603) 625-­1877. Smiles by Design Raman & Thompson guarantees emergency care 24 hours a day and 7 days a week. If you have emergencies during the office hours, then you can place a call here 603-669-6131. What if the emergency pops up after business hours? Then you can place a direct call to Dr. Thompson on his cell phone at603-731-0198. If you are in an emergency,Aspen Dental promises to find the earliest appointment with a dentist near your location. Their emergency services coversore gums, toothaches, broken tooth, a swollen jaw, root canal, etc.